Ralph Zuranski: Hi, this is Ralph Zuranski: and I am on the phone with Randy Charach. Randy for over 20 years has been helping people achieve their goals and he’s done it in memorable, meaningful fashion. As a professional mystery entertainer and speaker, he’s made over 5,000 presentations worldwide since graduating from high school in 1981. Ralph Zuranski: Randy is uniquely qualified. He is the consummate professional entertainer and expert in the area of communication, marketing and success. I’ve seen Randy at some of the different Internet seminar presentations. At one he did his magic show and it was just incredible. I mean it was mind-boggling. Ralph Zuranski: In addition to his stage and platform skills, he has authored 18 audio learning programs ranging from topics from goal setting to problem solving. His book titles include Fifty Ways to Leave Them Laughing, Synergy Talent, Secrets of a Millionaire Magician, and Secrets of a Millionaire Magician. Ralph Zuranski: Randy has the ability to quickly achieve an unusually high level of success in his chosen fields and he shares his methods in his entertaining, inspiring and practical presentations. As a rising star in the Internet marketing world, Randy is in demand at the different seminars across the United States as a speaker. He explains in detail how he made over $100,000 in his first five months as an Internet marketer and the principles that he now applies to propel multiple and equally profitable and diverse ventures by harnessing the power of the Internet. Randy, how are you doing today? Randy Charach: I’m doing great, Ralph. And thank you very much for having me participate in this program which I know that you’ve worked very hard on for many years. It’s a fantastic effort that you have put forth. Ralph Zuranski: I appreciate that and I know that you appreciate my desire to help kids because you’ve got a lovely wife, [Tana] and daughters [Leilani, Shera, and Kyla], and you know how important it is for kids to have some type of future. Randy Charach: I love children. I always have. In fact, I remember thinking as a child how weird it was how much I loved children and I was a child. Usually, it’s more, you know — and that hasn’t changed. I just always and still am quite childlike with my family and friends and sometimes with strangers as long it won’t get me locked up if they think I’m a loony. I love fooling around and being childlike and keeping that childlike mind. I don’t know if you know this, but when I was 20 I was hired to be Ronald McDonald the clown and I did that for six years. Randy Charach: Yeah, and that was a really great opportunity. I had the privilege and the honor of visiting sick children in hospitals and at the Ronald McDonald House and just really being able to connect with children at a level which was quite dynamic. Ronald, put all the corporate stuff aside for a moment, is loved and highly revered by many children and definitely recognized by children all over the world. Randy Charach: So instantly, it made it easy for me as a person behind the mask to go in and connect with the children and brighten up their day. So I had that walking in with my big red shoes. That was a big part of the job and that was the part of the work that I enjoyed the most, actually. Randy Charach: The meet and greets at the restaurants were okay. I did that because that was part of the job. But really going to the telethons and the hospitals and the schools and Ronald McDonald House was something that I really appreciated. Another thing is as a child I spend a lot of time in hospitals, too. I gained a great appreciation of children and suffering that children experience that sometimes adults who haven’t gone through the same path have trouble understanding. It’s much different for a child than it is for an adult to deal with things which may seem trivial to adults. Ralph Zuranski: Boy, that’s absolutely true. You know a lot about heroism being Ronald McDonald. He is sort of a hero to a lot of kids. What is your definition of heroism? Randy Charach: My definition is very simple. It’s a selfless act. I don’t know if that requires a lot of elaboration, but I’ll offer some. Randy Charach: A selfless act can be anything that somebody does for the good of any other sentient being, whether it be an animal or a person. The degree of heroism I think is completely relevant to the individual themselves. So heroic acts for me may not be for someone else and it works both ways. Randy Charach: A selfless act for somebody, for anybody, falls into the realm of heroism, the degree of which a person goes beyond their comfort level and their means to help other people. That’s where I think other people start recognizing and noticing different people and categorizing them as heroes. But I think that almost everybody in the world does heroic acts on a daily basis. It is just that it is not widely recognized by most people. Ralph Zuranski: I know. I totally agree. One of the heroes in the original program, Gregory Allen Williams, who is a star on Bay Watch, he actually saved a man’s life during the L.A. riots and pulled an Asian guy out of a car that was being beaten to death by the mob and a Mexican guy stepped in take the beating that he would have gotten trying to save the Asian guy’s life. Ralph Zuranski: It’s just amazing in those moments when somebody steps up and does something that they don’t have to but they are motivated to help save somebody else. I think that that is just incredible when people do good things every day that nobody sees, nobody recognizes them for, in fact. What is your perspective on goodness, ethics and moral behavior? Randy Charach: Well, again, I think that’s also something that’s actually a good segue from the other question. It’s all relative to the person doing the best they can at that time. So just like the hero, if somebody — let me give you an example. If somebody has just crawled out of jail who has spent most of their life in jail for some heinous crimes and have been surrounded by miserable situations their entire life and everything going against them, and they get out and they open a door for somebody. Randy Charach: In my mind that still falls under heroism. That’s kind of an illustration of the point that I was trying to make when I answered that question, the first question about the definition of heroism. Randy Charach: That same thing isn’t a heroic act for somebody else who jumps into the fire and saves people like a firefighter, that sort of thing. It’s the same with the question about goodness and ethic and moral behavior. Randy Charach: Anybody who does something — and of course it’s always based on their individual circumstances at that given moment — they do something that is categorized as the best they can do at that moment, whatever that best might be. I think that they are living ethically and under moral standards that are within their environment, within their capabilities. Randy Charach: Now, don’t get me wrong. I don’t think that somebody who — this person who got out of jail — if they went and did something bad to someone but it wasn’t as bad as what they’ve done before, I’m not saying that’s good, ethical or moral. But I am really a strong believer that we all come from different places. We all have different situations at any given moment. Randy Charach: So goodness, ethics, morality, it’s all going to come back to us one way or another I do believe in karmic consequences. If somebody acts unethically or immorally or in a damaging, harmful way to others, it is going to directly hurt themselves and they will suffer those ramifications sooner or later, in one way or another. Ralph Zuranski: That’s absolutely true. It’s funny. Gregory Allen Williams said that there’s a little bit of bad in the best of us and a little bit of good in the worst of us, and that when a person steps forward and does something good at that moment in time they become a hero. I believe that’s absolutely true. Ralph Zuranski: There is a real dichotomy as far as what heroism is these days. It’s like a question, “Well, what would you be willing to sacrifice your life for?” We had the heroes like the firemen, the policemen. Those people are getting paid to sacrifice their lives, to be in dangerous situations. What do you think is the difference between people that are actually getting paid to do heroic things and people that just do heroic things on a daily basis, like somebody that takes care of the sick family member? Randy Charach: I think most people, the firefighters, the policemen, the military, etc., who are getting paid for doing things where their life is at risk to help others are not doing it for the pay. Randy Charach: I think that’s something that it just happens to be how they earn their living. I don’t even consider that really a factor as far as comparing or judging those acts to someone who is doing something where they are not getting paid. The same with — here’s kind of a new argument that I hear people say. Oh, well, so and so donates $10 million to charity but he’s worth $100 million or $3 billion and he just does it to promote his company or he’s an egomaniac, whatever. Randy Charach: I say, well, okay, so? The point is let’s look at the result. This person donated money to charity, which was helpful for the charity. It’s a separate issue if they go and they need to flaunt it or if they have ulterior motives. I look at the good that’s done. I would say the same answer for this one, that whether you’re getting paid or not, it’s all circumstantial and it doesn’t really matter. It’s just a matter of if they are doing good or not. Ralph Zuranski: That’s absolutely true. Everybody has low points in their lives. They have low points and high points. What was the lowest point in your life? How did you change your life path so you would have victory over any of the obstacles that you were facing at that time? Randy Charach: I can offer a couple of different — I don’t which one was lower. I’ve had several low points in my life. Let me discuss the first one that came to mind. When I was 20 years old I started waking up routinely, like clockwork, in the morning — I forgot the exact time, and it wasn’t exactly to the minute, but around four or five in the morning — with excruciating pain down my left leg. Randy Charach: This went on for some time. I went to see my general doctor and he thought maybe it was like from exercising and weights, a slipped disc or something. I went to therapy, physiotherapy, chiropractors, all sorts of different things. Nothing helped, even pain killers. The pain was excruciating. This went on for probably for about half a year. Randy Charach: Finally, I don’t know how or why, but I tried using just plain aspirin instead of Tylenol 3s and this sort of thing, because it was affecting my life, being medicated and being in pain all the time. And that worked. It was interesting. I mentioned that to him and he said well, you know what? I want to send you for an X-ray because maybe it’s something else. I went for the X-ray; that didn’t show anything. I started inquiring more with the X-ray technician and started doing a little research. My doctor was on to something. The aspirin was related to a rare bone tumor which we discovered I had, which was benign, fortunately. And that was discovered through a CT scan. Randy Charach: It wasn’t so bad. It might have been a year into it by the time we actually found out what it was. When I found out what it was, I was relieved because I honestly didn’t want to live any longer. Randy Charach: The pain that I was having was so intolerable and the drugs that I had to take to live with it were creating other side effects. So I was relieved. All I cared about was can you fix it? And, yes. And is it cancer? No, it’s benign. They explained what that meant, the difference. And no big deal; simple situation. Randy Charach: It’s funny, Ralph. You know how whenever you go to a doctor they’re always the best? Have you ever heard anybody say I went to a doctor and I had this done and he’s the best? You ever hear them say and he’s like second best or the worst or for them to leave out the part that he is the best. Everybody goes to the best. It’s quite funny that way. Randy Charach: Anyway, I went to this guy who is supposed to be the best. He removed the tumor and then I was okay but only for five or six months and then the pain came back. I recognized this pain, this very distinct pain. It was like something hitting the nerve. Randy Charach: Not just a regular pain; I knew the difference. So I had it re-X-rayed and it was discovered that he didn’t quite get it all. And so far we haven’t hit the lowest part. I am just building up to it, because this part wasn’t all that bad comparatively to what you’re going to hear, although it doesn’t get that much worse, either. Randy Charach: Then my father, who is a very loving father, he looked at this with me and said, you know, if you really want to take care of this, I will take you to Mayo Clinic in Rochester because they are supposed to be the best. And obviously the first guy wasn’t because he didn’t get it all for whatever reason. Let’s just go to these guys. So we went to Mayo Clinic. Randy Charach: I woke up from the surgery and there were two types of pain. There was the pain from the surgery where they cut open my leg. They removed some bone. They did some bone grafts, this sort of thing. Can you imagine how — think about this — that pain was like 5 percent compared to the other pain that I had been living with. Randy Charach: The other pain was overriding it, so I knew when I woke up from the surgery they didn’t get it. I just knew it. They just, oh, no, no. You’re confused, dah, dah, dah. They sent me back home and I was right, they didn’t get it. What happened was they didn’t re-X-ray and it had shifted a little bit, so really they went in and just sort of took out the wrong piece of bone. Randy Charach: It was horrible. So I had to recover from the next six months and then found another doctor locally in Vancouver where I live. He said, look, I can guarantee that this can come out. Randy Charach: And what I would have to do is remove a bigger chunk of bone, put a metal plate in there to make up for that lost of structure. I’ll get it out. And I said, okay. Now, by the way, right now, just before talking to him, I’m at my low point. Ralph Zuranski: Yeah, I guess so! Randy Charach: Now to end that story and then come back to the lesson, he did perform the surgery and it was successful and I’ve been more or less fine ever since. Randy Charach: The lowest point was at that point after Mayo Clinic being. unsuccessful, just thinking this is now going on like two years. I had to drop out of college for it and that’s a bit of excuse. I probably would have done that anyway. I went for one year of college while this was happening and I didn’t go back. I could have gone back, and again, there were different reasons I didn’t. I couldn’t go to school. Randy Charach: What it did do, and your question is how did I overcome this obstacle, is I had a change of attitude. The low point, the manifestation of my feeling, though, was like throwing food at people and swearing and hating doctors, people and just being a miserable guy, right? I was horrible. Randy Charach: That didn’t last too long. That lasted about a couple of months until I realized what I was doing. All of a sudden, and I’m not sure what it was, what I read or listened to or what somebody said to me, but it clicked that this is not a way to live, I should be happy. There are people with way worse. It was benign, I’m okay now or I’m going to be okay now. And I came back with vengeance. Randy Charach: I overcame it. It was just a simple like switch in my mind, that’s all it was that I switched. Just turned — okay, forget it. I’m just going to do whatever I can. And I went out on crutches after that. In fact, that Ronald McDonald job, they hired me for it based on seeing some of my magic shows prior to me being laid up. I did some shows in between surgeries as well. When they approached me for the job, I said, well, yeah, but I have a surgery coming up and it’s going to be a few months recovery and then I will do it. Randy Charach: My very first Ronald appearance was the very first time I walked without crutches after quite a while and it was on stage at the Variety Club Telethon for the children’s hospital, walking on stage on this televised program as Ronald. So that was something that really did change, truly did change my life, to be able to do that and overcome that obstacle and turn it around and come back with a whole different attitude towards people and life and challenges. Randy Charach: It was something that, although I wouldn’t wish it on anybody and of course I’m not happy it happened, but a lot of good came from it. Ralph Zuranski: So you believe it’s important to take a positive view of the setbacks and misfortunes and mistakes that occur in your life? Randy Charach: I believe that when people don’t do that, that’s when depression sets in and all sorts of other physical manifestations, other illnesses. When your mind is not easy, then you get dis-ease, that’s what disease is. Sure, there are physical things. I don’t think that my tumor was caused by a bad attitude because it wasn’t really bad before that. It was only temporary. But I do believe that we can go out and create real physical problems for ourselves that manifest from negative attitudes. Randy Charach: From that accumulation of what we talked about earlier, which in my mind is relevant to everybody’s life, and that is the karmic consequences of our actions. And that’s why when somebody who does something which is unethical or immoral or when they do anything that’s going to hurt somebody else, that it’s going to affect their ability from there on and forever to live a life in which they are going to be at their fullest potential. They are directly hurting themselves. Ralph Zuranski: How important was it for you to have a dream or a vision that set your course of life? Randy Charach: It was and continues to be really important. For some reason, I don’t know why, but I started off quite young as an entrepreneur. It was not really a family thing. I’m kind of odd that way in my family. One of those things, when I came out of that final operation for my leg, I wanted to make money. I had a vision to make a lot of money. I thought, well, here’s an opportunity. Gee, I can use the pity thing here now. I’m on crutches. And I have an idea. Randy Charach: Have you seen those big hockey games? They are almost like a video game but they are like foosball, the big bubble and then the sticks. It’s like Chexx is the manufacturer, Chexx Hockey. Do you know what I’m talking about? Randy Charach: They’re coin-operated. I saw that, and they were just coming out back then and we’re going back now about 25 years. I somehow saw that somewhere in a small business magazine or something. I’ve always been reading those Entrepreneur magazines and biz-op things. I’ve always been reading those and interested in that kind of stuff as even as a kid. So I saw that and I was one of the first people to actually buy them. I remember they were like $3,500. I had already made money at that point as a magician, so I had money to invest. Randy Charach: I bought a few of those plus a few other machines. I went down in my crutches — and I had my mom drive me around — I’d go to different bars and Laundromats and donut shops, that sort of thing, thinking I’d put these games in here, kind of like the whole video game thing was just starting. Randy Charach: Pac Man was a little bit before that. They said sure and, you know, the deal was 50-50 on the coins. Then I would come along with the bag and the coin wrappers and my mom and collect these coins. The vision that I had was to go out and be successful and to make money and have a little business and I didn’t let anything stop me. Randy Charach: Right now at the moment, as you are aware, and it’s been going on now for a good six months, I’ve been restructuring my business and I have a vision for my business. But my vision wasn’t that clear up to maybe a couple of months ago, so for those first four months it was really hard because I was running around trying to fix things but I didn’t know why or where I was leading. Randy Charach: I just knew things weren’t working that well in certain areas. I wanted to fix them, but until I sat down and really had a clear vision of what I wanted to do in the near and in the long-term, it’s really difficult to take strong, positive action that’s going to be effective. Ralph Zuranski: Do you think that it’s important to have courage to pursue the new ideas once they pop into your mind? Randy Charach: Absolutely. Courage for one person, again, is different for another person. For me, it takes courage, and my wife — for everybody it takes courage — but my wife has, [Tana], she has different viewpoints on things, which is good. She encourages me and that offers courage for me to try new things and take risks in areas that I may not. Randy Charach: And courage to try new things outside of business to improve your physical health, to help others, to step outside your comfort zone, anything. Really, an idea is something that always starts with a thought and then we take these thoughts and we evaluate them and we decide do we want to invest the time, money, energy to pursue this idea? Randy Charach: Then typically what we do is we turn that idea into a vision, a goal, a target or destination. Then we commit to that idea and then we follow through with the critical tasks that will lead us to that destination. All along the path, it requires courage to continue because any worthwhile idea is not going to be a completely clear, easy path. It’s important to realize that and to have the courage to continue or not continue, as you go along to continue to evaluate. It all involves courage. Ralph Zuranski: Yeah, and of course in what you’ve done over the years, it was pretty uncomfortable to go through a lot of the stuff that you did. How important is it to realize that people are going to experience discomfort in pursuing their dreams? Randy Charach: Accept it. Understand that discomfort in your dreams and all areas of your life will be present. I and others that I know in work — I will speak for myself. I’m not comfortable sitting at a computer and typing. Randy Charach: Physically it bothers me because I don’t have proper typing skills. Now, that’s something that I can and am scheduling into change, to learn how to type, but I end up cramping up my back and this sort thing. Randy Charach: But I do it because it’s something that I need to do to pursue my dreams. I do way less than I use to because now I’ve understood the concept of delegating, and I delegate what I can, and also using alternatives to getting my thoughts to others. Randy Charach: For example, right now this conversation is being recorded instead of being written. It can then be transcribed by somebody else and then edited. I’ve done similar things now when I am creating articles or contributing to books or even writing books where I use other ways that are more comfortable for me. Randy Charach: But the point is there is some discomfort involved and there was definitely during the beginning of starting writing my first book where I didn’t have as many luxuries, although I did find ways around it, too. Randy Charach: Moving away from business, there’s discomfort in all sorts of things, with my children. I have a lot of dreams for my children. To help me in my pursuit to assist in my dreams for them, and of course they are going to adjust these dreams and change them and have their own as they grow. Right now they are infants. That requires discomfort at many different levels. Randy Charach: So discomfort is part of our human condition. It’s something that we have to accept, that without pain and suffering, it’s really hard to live a fruitful life. And that sounds really negative, I know. Ralph Zuranski: That’s true. That’s just the facts of life, though on the other side of that coin there are doubts and fears. Everybody has doubts and fears. There are so many things to fear. That’s the reason I created the Heroes program is to try and get some good news out there compared to all the bad new and the doubts and fears. created by the conventional media. How do you overcome your doubts and fears? Randy Charach: Well, that’s where it helps to have people around you that you love. When I have doubts and fears, I am very fortunate that I have a very loving wife and parents. I am very close with the rest of my family, even my uncles, cousins, friends. I have some really wonderful friends. Randy Charach: So I am in a terrific situation where when I have doubts and fears, I have someone that I can talk to and share them with I also have a — how do I say this? — it’s not always another person that I go to to help me with my doubts and fears. When I meditate, go beyond myself and beyond the human condition into a realm which I won’t even try to understand or explain. I get help there overcoming my doubts and fears. Ralph Zuranski: How important is it to forgive those who upset, offend and oppose you. It seems that there as so many people that just take any opportunity to make you have a bad day. How important is forgiveness? Randy Charach: It is right up there at the top of importance on that importance ladder. The only person you are hurting when you hold grudges is yourself. When you have hatred or when somebody’s actions personally offend you in your mind, because that’s really the only place it exists, all you’re doing is hurting yourself. You’re not hurting that other person. You might be hurting other people around you who love you. So it’s very important. Randy Charach: The way around that is to have compassion for the person and understand that they are doing the best they can at that given moment. Whatever they are doing really has nothing to do with you. It may appear to be pointed towards you, it may appear to be directed towards you, but it doesn’t have anything to do with you. It only has something to do with that other person. Randy Charach: That’s where the compassion lies, to look at this other person and to feel for them and forget about yourself. If you are walking in a hospital for people who have mental illnesses, somebody walks out, maybe they have Tourette’s and they start swearing at you and that sort of thing. Randy Charach: Are you going to take it personally? Probably not. So that’s an extreme example, but take that and look at every situation with people. Look at somebody who honks at you when you cut them off, whether it’s intentional or not. Does it really have anything to do with you? Ralph Zuranski: Yeah, all that’s true. How important is service to others? Is that a source of joy for you? Randy Charach: It is. It is something that — I think it’s a source of joy for everybody. I don’t think anybody could answer no to that. I believe it would be a source of joy at some level, whether conscious or not, for everybody. Ralph Zuranski: How are you able to maintain your sense of humor in the face of all the serious problems that you’ve had? Randy Charach: Well, first of all, you don’t know the half of it as far as the serious problems that I’ve had. Again, that’s all relative. Somebody else might be listening and go, oh, you want to hear my problems? You’re lucky! And I am lucky, actually. I am a very lucky person. Randy Charach: How do I maintain my sense of humor is what you asked? It goes back to that whole childlike attitude that I have towards life. It’s true that I had lost my sense of humor in many situations and I will continue to do so, which is good because that keeps reminding me that I’m human. Randy Charach: I usually need, in order to regain my sense of humor of a situation where I’ve lost it, which has happened very recently. I’m talking like in the last 48 hours, I need to actually step away from the situation for a little while and then come back to it and put it in perspective. And I ask how serious is this problem? Randy Charach: And here’s the question I ask myself, literally. Did somebody die? I’ll go did somebody die? No. If the answer is no, then I start going down the list until I realize how trivial it is that I’m belaboring over and affecting the people around me and my ability to move forward. That’s pretty much the exercise that I use and it’s worked well for me. Randy Charach: My wife, my children, my parents. I look at a lot of public figures who I think are very, very — doing a great job for humanity and for others. I’d rather not mention who they are. A lot of them are commonly acknowledged; some aren’t. None of them are evil, that’s for sure. Randy Charach: Well, I will give you a hint of where I am going. You know, I happen to think Elton John is a hero, and that’s why I kind of want to avoid not naming people because people would go, what? I look at the way he — well, certain things stand in my mind. I will use him as an example and then you can just imagine what other sort of quirky examples are in my mind. Randy Charach: There was like a musical award program, it was within the last couple of years, and Eminem, the rapper who was on it and he had been widely criticized for anti-gay lyrics in his songs. Randy Charach: Of course, Elton John is homosexual and is quite open about it. They were performing together, which was really, really nice to see. Whatever the reasons for it, whether it’s for someone to prove a point or not, it doesn’t matter, I don’t even think about that stuff. The fact that they would work together on this I attribute the heroism in that respect mostly to Elton John and not so much to Eminem. Not that I am saying anything negative about Eminem. Randy Charach: Then when they came out for their applause, which was plentiful, Eminem stuck both hands out, gave the finger to the audience. Elton John went to hug Eminem. Eminem kind of like shrugged him away. But Elton John didn’t react negatively to any of that. He instead was probably coming from a place of compassion to this Eminem guy. Randy Charach: Let me give you one more similar example in case this one, people don’t — some people are wondering what I am talking about. There is a fellow who is a Canadian well-known business man named Jimmy [Patterson]. I have happened to actually met him many times. Randy Charach: I know him. Every time I’ve met him, he’s been a really nice man. I’ve only heard things about him that, other than nice, which are just things him about being eccentric. Nothing really bad, right? Randy Charach: But where he really gained my respect, not so much with my personal interactions with him, but during 1986 in Vancouver, he led — he was like CO of Expo 86 — that may not be 100 percent; maybe he wasn’t CO, but he was huge, definitely right up there in organizing it or a figurehead for it. Randy Charach: Somebody actually, some sort of a protester or whatever, threw an egg at his head. You know, this guy is worth, I don’t know, billions or hundreds of millions or whatever. He is one of the richest men in Canada. Randy Charach: He didn’t even flinch. All he did was just, nothing. I don’t even think he took his hand and wiped it off. He just kept going. It wasn’t important. What was important was the task at hand and what he was there to do, whatever it was, cutting a ribbon or something. Randy Charach: Again, same idea; same concept. They are doing what’s important to them, they’re doing what they think is right. They are not taking things personally. They are not letting other people’s problems — they’re not making those other people’s problems their own. Ralph Zuranski: Yeah. Why are heroes so important in the lives of young people? Randy Charach: Well, because the young people are the future older generation. Well, not so much anymore, but it depends on where you cut off the age thing because now a lot of 20-year-olds pretty much run the entertainment industry and a lot of other industries as well, high tech and that sort of thing. Randy Charach: So if we’re talking teen, pre-teen type of thing, they are going to be the next leaders shortly. Those are the people who are going to have the control — the politicians, the head of media, this sort of thing. Ralph Zuranski: That’s hard to believe, isn’t it? Randy Charach: Well, yeah, they get younger and younger. Ralph, maybe we’re just getting older and it just seems that they are younger because, well, maybe when I was 10 and looking up and looking at all these people, maybe they were 20 then, too, and they just seemed like they were 100, but I don’t know. Randy Charach: It’s important because it’s our responsibility to set good examples for them so when they come into more power they handle it responsibly and also as youngsters as they live their life that they do good, they don’t do harm, and they have good role models. So the heroes are real important. Randy Charach: You know a whole other category of heroes? It’s a generalization because there will be people within this category who certainly aren’t, certain types of individuals who do horrible things crawl into all sorts of different organizations. But when I look at people like Big Brothers, you know, those are heroes. That’s a heroic act to help young people. And I think that’s great. It’s important because they are the future of our civilization. Ralph Zuranski: I agree. How does it feel to be recognized as an Internet hero and gratitude for offering to help with the program? Randy Charach: Well, Ralph, I in my mind think that the only person who recognizes me as an Internet hero is you, simply because you asked me to be part of this program. I don’t consider myself, and I don’t know that anybody else does, consider me an Internet hero. I do appreciate the acclamation from you, definitely. Ralph Zuranski: Well, I created the HERO as an acronym of somebody who helps enthusiastically, responsibly, optimistically, exceptionally, socially and/or spiritually. And you are definitely doing that. So it goes back to the idea of Gregory Allen Williams, that there is a little bit of bad in the best of us and a little bit of good in the worst of us and that anybody, whenever they help in any way possible, that that is a heroic moment. You’ve entertained so many people as Ronald McDonald. Ralph Zuranski: I’ve been to your magic shows. And you really encourage people and you entertain them and that makes a big difference in people’s lives because it just makes them happy, you know, they love to laugh. I think that your magic programs and just some of your presentations are inspiring. And so I think it makes a big difference in the lives of other people when you actually make it better; better for them just at that moment in time. Randy Charach: Well, since you put it that way, it feels great. Thank you. Ralph Zuranski: Well, good. I’m glad that you realize that. I know you’ve helped a lot of people along the way and helped them be successful, also. Do you have any good solutions to the problems facing society, especially racism, child and spousal abuse and violence among young people? Randy Charach: Oh, gee. Yeah, I do have one. I know it helped me a lot and it was a big turning point in my life. Also, going back maybe 10 years is when I discovered meditation and that really helped a lot. It actually, without consciously doing anything, by meditating and by simply calming my mind on a daily basis, it did develop within me a more compassionate being and a less egocentric person. That was a great, positive byproduct of the meditation. There have been many positives. Randy Charach: I think that if those people in the situations that you just asked me about, and the prejudices and all these things, I think if the people who fell into those categories were to sit quietly for twenty, thirty minutes a day every day, relax their mind, it would make a huge difference in the world. Ralph Zuranski: I’m sure that’s true. Well, if you had three wishes for your life and the world that would instantly come true, what would they be? Randy Charach: One would be that everybody would meditate. The other one would be that we would all study the great, various, great and only the ones that fall into a legitimate category, not cults for example, religious scriptures like the Dhammapada of the Buddhists and the Bhagavad-gita which is referred to as the Hindu Bible. Ralph Zuranski: That would do it, huh? Randy Charach: That would do it. Can I just go with two? I’m sure tonight at 5 in the morning I’ll wake up and I’ll go, oh, there is third good one! Why didn’t I think of that? Of course! Ralph Zuranski: What do you think of the impact of the In Search of Heroes program will be on youth, parents and business people? Randy Charach: I thought of a third one. Ralph Zuranski: Okay, give it to me. Randy Charach: And this won’t be possible for everybody living in all parts of the world. If we treat ourselves well, if we eat healthy foods and exercise and don’t abuse our bodies and our minds with chemicals and drugs, this sort of thing, that would be my third. I think that would also make this world a much better place to live in. Okay, and I’m sorry. What was your last question? I knew I had to have it. Ralph Zuranski: The last one was what do you think about the In Search of Heroes program and its impact on youth, parent and business people? Randy Charach: I think it is absolutely wonderful, I really do. I’m happy and honored to be part of it. 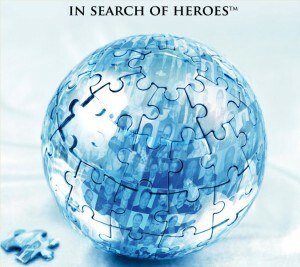 I know that other people that you’ve categorized as heroes and have invited into this program who are participating, I am fortunate and blessed enough to be friends and acquaintances with many of them and I know that they are well-meaning people who are successful who are going to have a great impact on the lives of others. I am really happy about it and I fully support you and your efforts and the entire program. Ralph Zuranski: Well, thank you, I appreciate that. As a final question, what are the things parents can do that will help their children realize that they, too, can be heroes and make a positive impact on the lives of others? Ralph Zuranski: Boy, that’s true, isn’t it? The examples of the parents have such a big impact on the kids. Randy Charach: Absolutely. I believe that parents who set good examples and love their children unconditionally, treat themselves and their children and all the people around them with the utmost kindness and respect and compassion and who understand the laws of unity, of all sentient beings and karmic consequences, I believe that most of the children of those types of parents will turn out to be real great contributors to society. Ralph Zuranski: The flip side of that, children who are born into families where their parents are not spiritually evolved, who are maybe living lives that are selfish and harmful to others, still have an opportunity to live life in which they do selfless acts and where they live compassionately and help other people. I don’t think we are locked into it as people when we are born. Ralph Zuranski: There is genetics and there is environment. The genetics is something that people can’t necessarily change completely. Our environment we can as we grow up, as the children grow up and become thinking individuals. Of course they’re thinking right away before they are born, I realize that. But as they get older in the world and they can make decisions and understand concepts and realize they do have the ability to change. They don’t have to be like their parents. Ralph Zuranski: Yeah, I totally agree with that. Well, Randy, I really appreciate you taking your time and answering those questions. I just thank you and ask you if you have one parting comment? Randy Charach: Yeah, Ralph, keep doing the great work you are doing and any time I can help you, I’ll be there for you. Ralph Zuranski: I appreciate that. Thank you so much, Randy. Ralph Zuranski: I appreciate your help. While still a child, Randy began entertaining other children with his magic show. He went on to become a professional entertainer and has since performed over 5000 shows across the globe. Randy now balances performing his live shows with his related television projects. My Uncle was a Magician. I met him at his Las Vegas home when I was 5 years old. He taught me my first magic trick and I was hooked. Fell in love with the art of illusion and the world of entertainment. The first show I did was for my grade 5 class when I was 10. I performed shows throughout school and was booked at the biggest annual Fair in BC, the Pacific National Exhibition (PNE), a gig that lasted for 16 years. While performing at the PNE, in my 20’s, I was approached by the advertising agency for McDonald’s Restaurants to portray Ronald McDonald the famous hamburger clown. I had applied for the Ronald gig when I was a teenage entertainer and they finally came around looking for me. I was Ronald for 6 years and amazingly managed to stay skinny with a clear complexion the whole time. My shows were typically featured at comedy clubs, private parties and corporate events. One of the most popular requests from corporate clients was to present my keynote motivational program called The Magic Success Formula. I used the word M-A-G-I-C and talked about Motivation, Attitude, Goals, Investment and Commitment. Newspaper clippings: Vancouver, Canada is home base and provides the ocean, mountains and where most of my friends and family are. I’ve done over 5,000 shows over 3 decades and have had the pleasure of performing all over the World. My shows have been featured at Club Med Resorts in Mexico and the Bahamas, Hotels in Hawaii, Corporate and Public Events in Shanghai and Singapore, as well as Australia and the Caribbean as the guest headline entertainer on Cruise Ships. Check out some of the numerous television appearances I’ve had as a Comedian, Magician and Mentalist. After meeting my Uncle’s many friends and colleagues, such as Siegfried & Roy and Reveen the Hypnotist, I was inspired to perform in Las Vegas. My uncle had since passed on when I first stepped on stage to headline at the Riviera Hotel on the Vegas strip. A few of his friends were there, and I know he would have been proud. Always fascinated by psychology, body language and the predictability of human behavior in general; my performance material began evolving to what is now known as “Mentalism”. It’s a blend of a Comedy and Mind Reading – although I make no claim of paranormal ability. I stay involved in the Television industry with shows related to my work as a “Psychic Entertainer”. Movies are one of my main passions and I produce and act in the occasional film.